KAHULUI, Hawaii, February 5, 2014 – Throughout the forth quarter of 2013 Ohana Fuels “Fuel Up. Do Good.” community giving program raised a record-breaking $4,037.51 for Hale Makua Health Services. 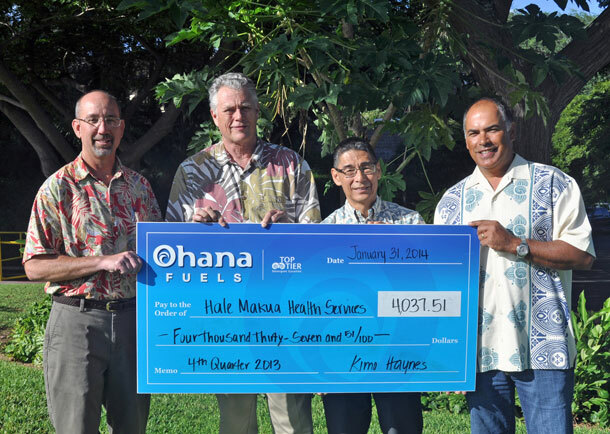 Whenever someone filled up with Ohana Fuels’ TOP TIER™, fuel-efficient gasoline at a Kahului, Lahaina, Makawao, or Pulalani Ohana Fuels station, a portion of the gasoline sale went to supporting Hale Makua Health Services. Funds raised will help provide healthcare and support for Maui’s kupuna who are no longer able to safely live in their own homes. Upon receiving Ohana Fuels generous donation, Tony Krieg, CEO of Hale Makua Health Services stated, “All of us at Hale Makua Health Services are very grateful for the commitment and support of local businesses like Ohana Fuels, especially during this time when our financial situation continues to be challenged by government cutbacks to Medicaid reimbursements. 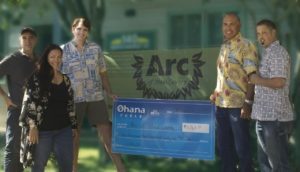 Ohana Fuels’ community ‘Fuel Up. Do Good.’ program helps Hale Makua Health Services maintain our 67-year commitment to care for Maui’s frail elders and disabled individuals, and furthers our mission to improve the well-being of those in our care through compassionate, personalized health services in our home and yours.” “The mission of our Giving Program is to help meet the needs of the communities we serve by supporting nonprofit organizations that improve overall quality of life. 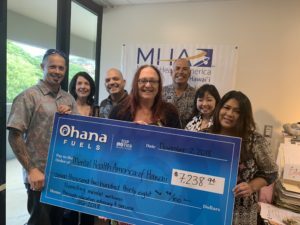 Ohana Fuels proudly sponsors programs that enhance the vitality of our neighborhoods, celebrate our community’s success, and support local charities”, said Kimo Haynes, President of Hawaii Petroleum Inc. Now in its seventh quarter, Ohana Fuels “Fuel Up. Do Good.” program has raised over $20,000 for Maui charities. 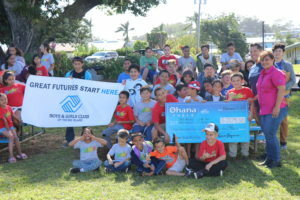 In addition to Hale Makua Health Services, the Boys & Girls Club of Maui, Friends of the Children’s Justice Center, Ka Lima O Maui, Maui Food Bank, and Maui Youth & Family Services, have received donations that help further their missions to serve individuals in the Maui community. Hale Makua Health Services is a private, non-profit 501(c)(3) corporation, established in 1946 to provide a home for elders who had no one to care for them or means to pay for care. It is the only Eden Alternative registered home in the state of Hawaii, and is one of Maui’s largest non-government employers. Over 450 employees serve two nursing homes; a home health care agency, including adult foster family case management; a rehab center that specializes in both in and out-patient physical, occupational and speech therapies; an adult day health center; and an adult residential care home. For more information visit HaleMakua.org. Ohana Fuels has four locations on Maui and four stations on the island of Hawaii. Ohana Fuels gasoline has been certified as TOP TIER™ to meet the premier standard of gasoline for optimum performance and fuel efficiency recognized by six of the world’s top automakers, BMW, General Motors, Honda, Toyota, Volkswagen and Audi. TOP TIER™ additives help clean your engine; optimize fuel economy; eliminate hesitation, stalling, and rough idling; restore optimum performance; and reduce emissions.